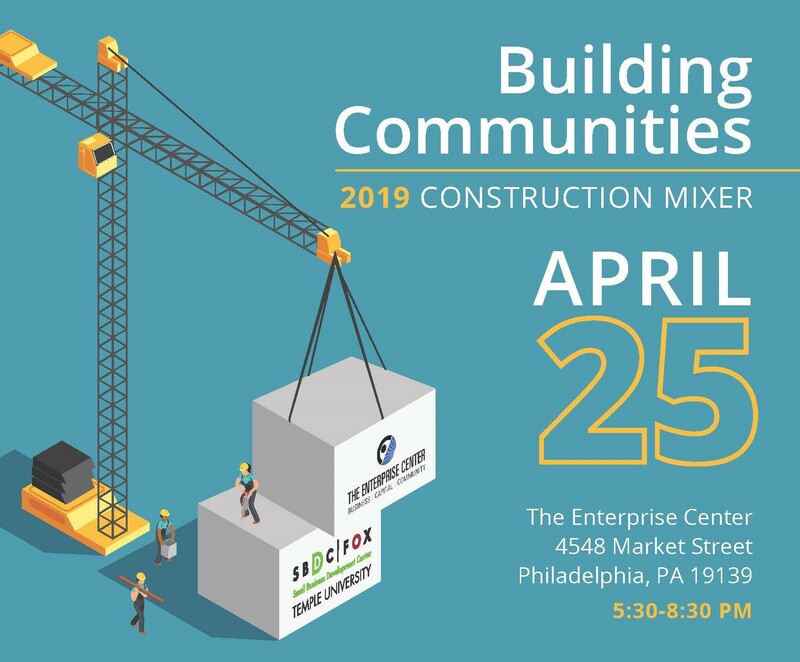 You are invited to join the Temple Small Business Development Center and The Enterprise Center for an evening of networking with professionals from the construction and real estate development sector. Enjoy light bites and beverages while connecting with participants of Temple SBDC's Construction Management Certificate Series (CMC) and TEC's Construction Consortium. This year we celebrate 31 years of CMC and 3 Years of the Construction Consortium! Welcome and thank you for your interest in the Construction Mixer! Please start your registration by either logging in or signing in as a new user.